Oh guys, we are seriously hooked on Sherlock over here. Do you watch it? DO YOU??? Because if you don't let me tell you a secret, IT IS AMAZING! 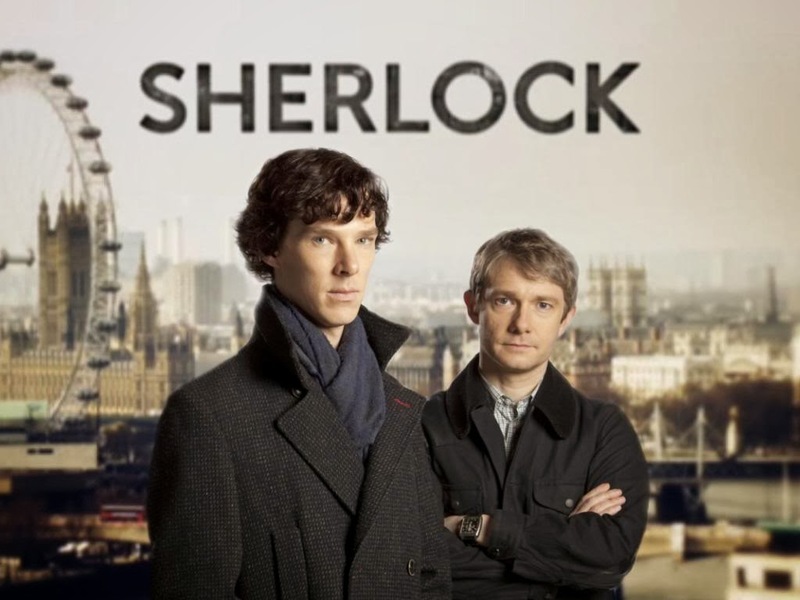 I know I am late to the Sherlock train, but with all the internet hype, I had a funny feeling I would possibly get a little obsessed with it, and go on all night benders of "Just one episode..." that would lead to total exhaustion and homework procrastination for weeks on end. Which is why we opted to stay clear. I know how I get with a new show, and there is just no time for such an obsession right now. It was starting to look possible. So last week Nick and I decided to give it a go... aaaaaand we are done. So watch Sherlock. It won't take long, then we can complain together about the long wait until season four.